As most of you know, the Kawartha Komets is a special hockey team for girls, boys, teens and adults with physical, emotional and/or neurodevelopmental challenges. David & Carol Fisher launched this program in April of 2009 and there are now 2 teams, a Junior team and an Intermediate/Senior team with a total of 40 players. The Kawartha Komets are presently raising money to send the teams to Boston, MA from April 27th - May 1st for the Annual Special Hockey International Tournment. The Komets have chartered a Coach Canada bus and are making final arrangements with the hotel in the Boston area. A number of fund-raising events have already been held and they still have a ways to go to achieve their goal of $13,000. They presently have raised $8,500. On Wednesday, March 16th, 2011 it willl be Kawartha Komets Night at the Peterborough Petes game against the Niagara Ice Dogs at the Peterborough Memorial Centre. This is the last game of the Petes' regular season and is in the middle of the March Break. The Komets players, decked out in their jerseys, will be greeting fans at each arena entrance, giving out a Komets' promotional item to each person. Between the 1st and 2nd period there will be a brief scrimmage with some of the Kawartha Komets players showcasing their skills. The SPECIAL ADMISSION PRICE that night for those who wish to support the Kawartha Komets will be $12.00 per person. This price is for all regular seating (not club seats or nosebleed section) in the Memorial Centre. When ordering your tickets online or picking them up at the box office please quote the special price code - KOMETS (that's Komets with a K). When you mention KOMETS you will get your ticket for $12.00 and $2.00 of the ticket price will automatically go to the Komets' BUS THE BOYS TO BOSTON fund-raising campaign. 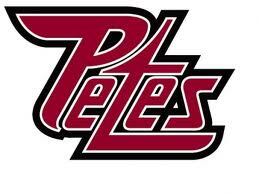 This will be your last opportunity to see a regular season Petes' game this season and it's in the middle of March break so the children won't have to worry about getting up for school the next day. Thanks for your interest in and support of the Kawartha Komets.